Miles Underwater - Day seven - A lot of badass women - July 11 - Colette Freedman is a top Hollywood Script Doctor who has also ghost written several novels. Jen. Jhennifer. Brooke. Colette. Liz. Clea. Stephanie. Sofia. Emily. Katy. Katherine. Jessica. Alexia. Jazmine. Maqui. Miranda. Shavonne. Casey. Riley. Alexia. Amanda. Gidget. Kira. Scout. Justina. Iris. Hannah. Jackie. Alixzandra. Anne. Yanaylet. Aleisha. Kaira. … just to name a few of the women working on Miles Underwater. There is something unbelievably wonderful about having a lot of women on set. Our director is a woman. Two of our producers are women. Our two writers are women. 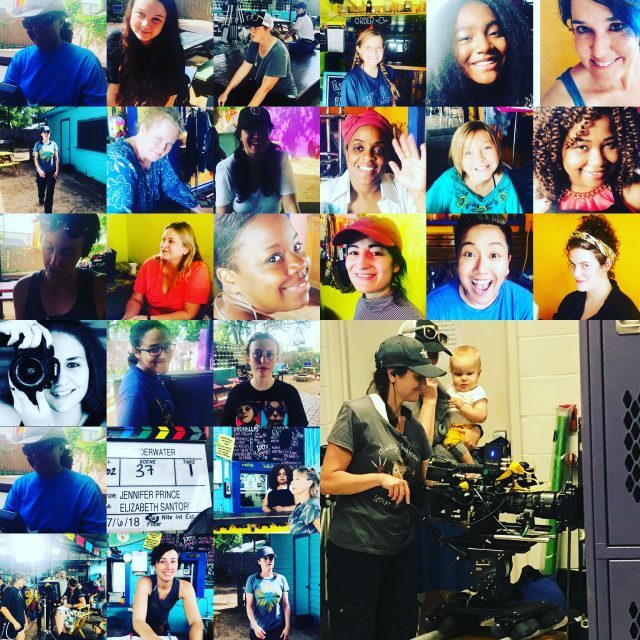 Our director of photography is a woman and her three assistant camera women are… women. Our co producer is a woman. Our editor is a woman. Our second AD is a woman. Our script supervisor is a woman. Our Key Grip is a woman. 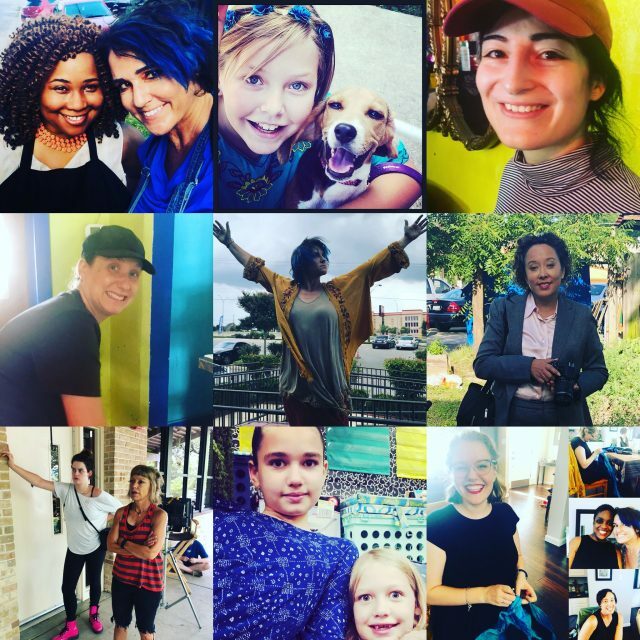 Our makeup artist, costume designer and wardrobe assistant are women. Our production designer is a woman. Half of our PA’s are women. Women are the future of film. Most of our crew are badass chicks who are working any position they can, even though most of them have directed films themselves. That is both a testament to them… and to us. This is a hard film. There is too much heat and too little money. And we have the chutzpah to make this work: All the way from producer Jhennifer who is turning over every stone to find us resources to PA Sofia who drives the three hour round trip from Austin every day to work on the film. We are a team. An egalitarian team determined to make excellent art. And we have been making art for a week.